Only a few smart animals wear a false face on the back to confuse the enemies and attract the Gents. 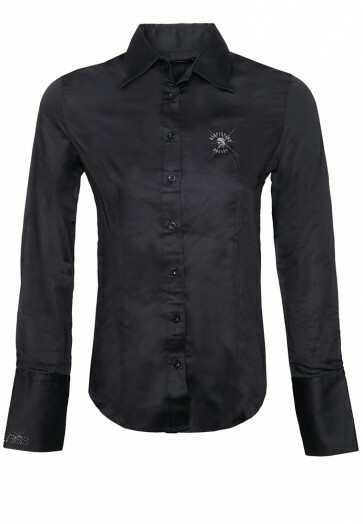 Waisted cut, form-fitting long sleeved blouse with a typical Kent collar, long cuffs and a rounded hem. 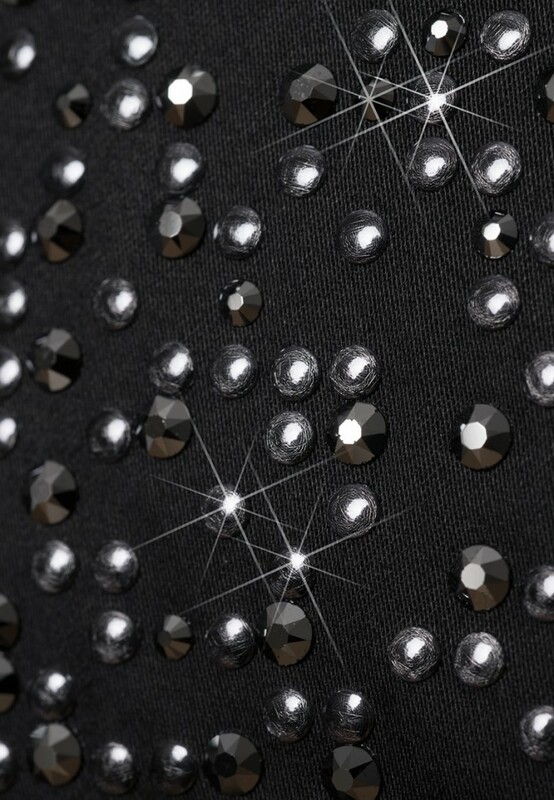 Special eye-catcher is the backside Death's Head, which is made of a combination of dark crystals and rivets from Swarovski® - giving this blouse an unique, shimmering look. 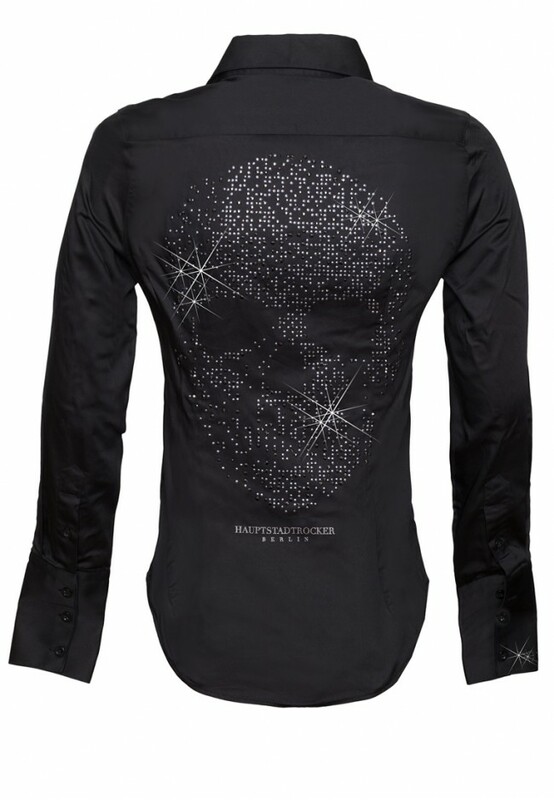 Additionally the frontal motive at the chest level is perfectly finished with a faceted Swarovski® skull. 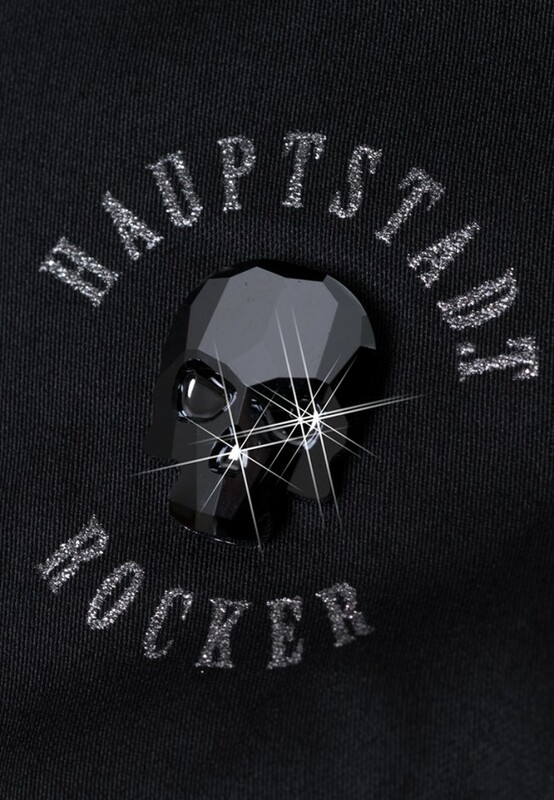 Strictly numbered and limited upon 333 pieces.